With the increased use of internet connected mobile devices, its a simple fact that any modern website needs to provide a responsive presentation. In other words, a successful website should be just as engaging, aesthetically and functionally, on a phone or tablet device as it is on a 27 inch widescreen display. At Eyedeal Graphics, we understand the clear benefits of responsive design, and have been designing responsive websites for our clients for well over 3 years. That being said, the last refresh for our own digital real estate was completed about 5 years ago which definitely places it in the antiquated category and unquestionably qualifies it for a much needed update. 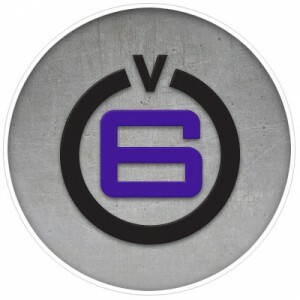 And so we welcome you to the newest iteration of the Eyedeal Graphics website, V6. The new website redesign was developed to focus on three core improvements. The former iteration of our website was built with our vision set on what we could accomplish graphically. That design was conceptualized in Photoshop, the graphic elements were sliced into their respective layout pieces, and HTML was developed to hold all the graphics in their proper places along with the site’s textual content. The result was a design that worked well from a visual perspective at the time but today looks somewhat busy. Our new design slims down the graphical presentation allowing content to drive the structure of the website rather than focusing on how we can add just one more shiny graphic element. We also moved to a full-width structure which provides an improved presentation on larger displays. Eyedeal Graphics is, first and foremost, a design agency. And while copy writing is a service that we gladly provide our clients, it is artwork and layout that is the foundation of our work as branding and image consultants. We wanted our updated website content and information to speak to that notion. To this end, one of the primary goals of this current iteration was to reduce unnecessary content and focus on presenting information that delivers our message in a brief, clear, and concise manner. It’s true that a polished visual design is important to an effective website presentation, but appearance is just one quality that defines a positive user experience. Functionality is just as important to providing an engaging interaction for your website visitors and is the most significant factor fueling our desire to redesign our website. As mentioned earlier, our previous site was created with an emphasis on graphic styling and we definitely were very pleased with our website’s visual appearance. But all those graphic embellishments were delivered at a high cost – performance. Not only was the site lacking a responsive structure to accommodate today’s mobile devices, it was also very resource intensive. In other words each webpage was comprised of many individual elements that all needed to be downloaded and assembled to deliver a fully rendered page. Our new website is built with resource efficiency in mind. While it was still important for us to design a site that was graphically appealing, we leveraged the power of CSS (Cascading Style Sheets) to accomplish a lot of the graphical treatments used for the site. CSS allows us to use the browser’s native styling engine to render specific portions of the webpage that previously would have been filled by a JPEG, GIF, or PNG graphic that would have needed to be downloaded from the web server. Less downloads per page means faster page load times and happier website visitors. Improved user experience is not limited to people who visit your website. It is just as relevant to the people who contribute to the editing and maintenance of your website. Website maintenance and updates can be a rewarding experience even for those who find themselves intimidated by “technical” work assignments. Our new website, built on the WordPress platform, includes a powerful, and accessible content management system that provides convenient content editing to users of practically any skill level. Thanks for visiting our new website and we welcome you to continue browsing and checking out our logo, print, web, and signage portfolio. If you are interested in our services, we invite you to contact us today by phone at 330.336.1168 or by email at info@eyedealgraphics.com.